Catalogue of plants. – Please request e-plant list. Plants can be seen growing in the gardens. 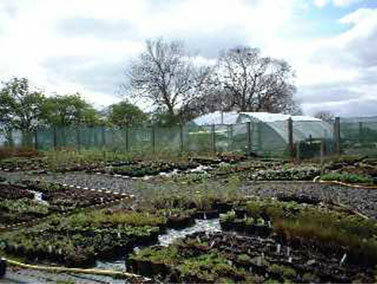 A nursery to visit – see opening times. Open independently to the garden and arboretum. 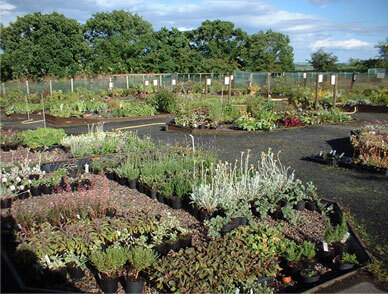 Whether a gardening beginner or plant connoisseur, we offer an extensive range of container grown hardy ornamental trees, shrubs, climbers, herbaceous perennials, rock garden & ground-cover plants for sale – a garden makers range of plants for every situation and soil type in the garden… A traditional plant nursery, with plants propagated and grown here – in the Northumbrian countryside in hardy conditions. We are conveniently located for visitors from the whole of the North, North-east of England, Scottish Borders – including Northumberland, Durham, Newcastle-upon-Tyne, Alnwick, Morpeth, Rothbury, Coquetdale, Northumbrian Coast route and Edinburgh. 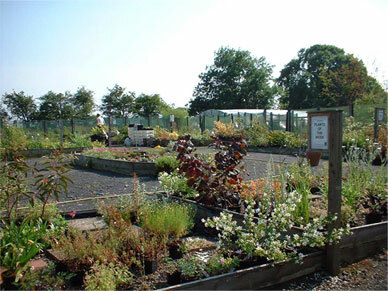 The Gardens & Arboretum and Nursery & Plant Centre at Longframlington Gardens make the perfect day out for tourists and locals alike – we’re conveniently located for visitors from the North and North East of England and the Scottish Borders, including Northumberland, Newcastle, Alnwick, Morpeth, Rothbury, Coquetdale, the Northumbrian Coast and Edinburgh. 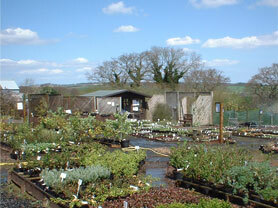 Why not take your visit to our nursery and plant centre one step further and consider a total garden redesign? Owner and designer, Hazel Huddleston is the inspirational force behind Longframlington Gardens. 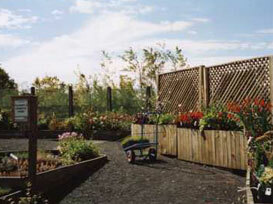 As well as the beautiful gardens, arboretum and nursery, Hazel also offers an experienced and renowned garden design and landscaping service. With a host of accolades, including a previous gold medal at the Royal Highland Show, Hazel’s thirty five years of experience means that any project is completed to the highest of standards. Call us today on 01665 570382 or email info@longframlingtongardens.co.uk for more information about how we can help you achieve your perfect garden.